Investigators are asking for the publics help in locating a man who was seen in the Vallecito area the day Dylan Redwine was reported missing. The man, who is not considered a suspect, was reportedly in the area looking for rental properties, said Dan Bender, spokesman for the La Plata County Sheriffs Office. The man is described as Hispanic, between 45 and 50 years old, about 5 feet 10 inches tall, weighing about 170 pounds, with dark hair. 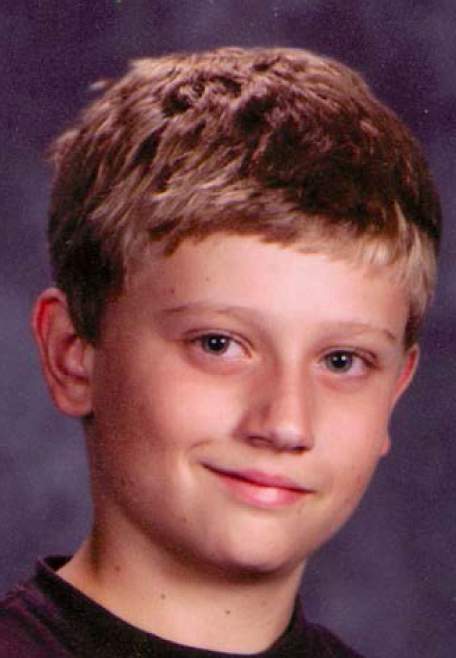 Dylan, whose 14th birthday was last week, was reported missing Nov. 19 by his father, Mark Redwine, who lives north of Vallecito Reservoir. Investigators interviewed someone last weekend who remembered seeing the man at the north end of Vallecito on the same day Dylan was reported missing. The tipster, who investigators declined to identify, said the man asked where he could find gasoline for his vehicle. The tipster did not have a description of the vehicle. The tip was a result of information left on a tip line at the Sheriffs Office. A reward for information leading to finding Dylan is more than $50,000, which includes rewards through Crime Stoppers, the FBI and donations from residents and groups. Anyone who may have information about Dylans whereabouts is asked to call sheriffs investigators Dan Patterson at 382-7015 or Tom Cowing 382-7045. People can call the tip line at 382-7511 or Crime Stoppers at 247-1112.